If you have an outdoor kitchen or you plan on installing one, one of the many things you need to think about are the types of cabinets you want installed. It is not easy deciding on the right cabinet material, especially if you know nothing about cabinets. Below, we will go over some of the options you have to help you decide on which option would be best for your outdoor area. Teak cabinets are a popular choice because they can be custom built to meet your needs. This means that you are not limited on design or functionality as your options truly are endless. These cabinets do need to be sealed on a regular basis to keep them from becoming sun and water damaged. You have probably seen many outdoor kitchens designed with stainless steel cabinets in mind. These cabinets will provide a sleek look for any outdoor kitchen and you will find they are durable. It is important to make sure you choose the right grade of stainless steel, otherwise, you may not be as happy with your choice. Polymer cabinets are another popular choice since they are similar to plastic. These cabinets do not rust, fade, or rot, which makes them an ideal choice for your outdoor kitchen. Polymer cabinets are extremely durable and can take on any type of weather conditions. If you are ready to add cabinets to your outdoor kitchen space, contact the professionals at J. 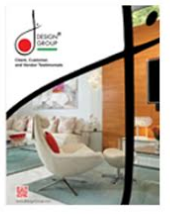 Design Group. We specialize in designing and redesigning your interior and exterior space to create a luxurious look and feel. To add an additional element to your outdoor area, consider designing a beautiful Koi pond. Not only will you enjoy the way it looks, a small waterfall can create a calming and relaxing atmosphere for you and all of your guests.